Deciding on the right water softening system for your home shouldn't be a chore. 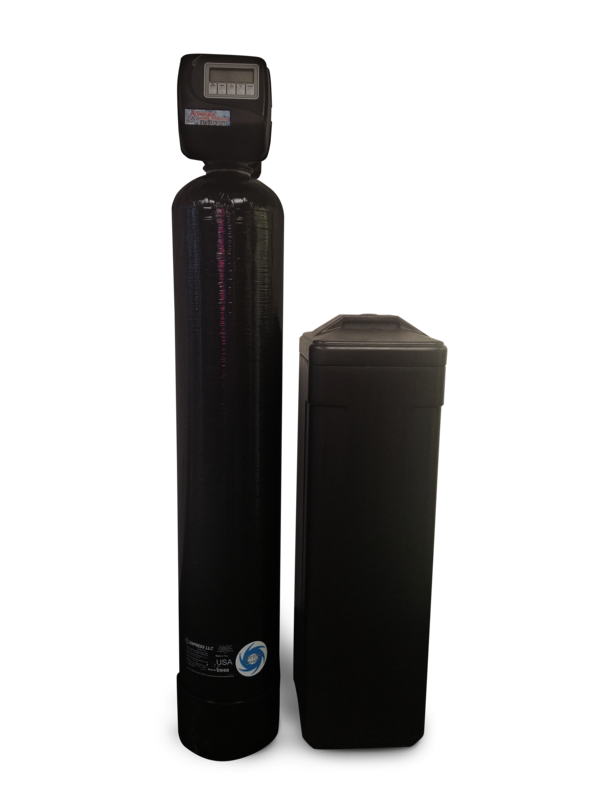 Do you care most about getting an affordable water softener system, a low-maintenance system, or the system with the best technology? Whatever your priority, or whether you are buying or renting, you're sure to find something for your needs and budget. This system meters water usage and regenerates the softener medium as needed. If your house is pre-plumbed or you are replacing an existing unit, a $75 installation charge applies. For new installs, contact us for an installation quote. For those who want the best value. This smart system learns water usage habits over time and recognizes day-by-day differences. This system reduces water consumption with a Vortec resin tank. With a Vortec resin tank, always enjoy the full tank capacity since there is no buffer capacity needed in this configuration. For those who want an aesthetically pleasing low-maintenance system. The Vesta controls monitor and self-adjust the regeneration schedule to fit your household. The visual salt alarm indicates a low salt condition without annoyance. The No-Hassle system includes a Vortec tank, visual salt alarm, tank sweat jacket and a custom appliance matching option blend in with the other appliances in your home. For those who want even more pure water. Includes everything in the No-Hassle plan. Get the best of both worlds by adding a reverse osmosis (RO) system to have pure water from your fridge or kitchen sink. Optionally, add a drinking water faucet for a one-time $49 charge. Big box store and bargain systems regenerate on a daily schedule. Instead, we include electronic meters which measure water use patterns and intelligently revive the tank when needed. You get the benefit of reduced consumption of both water and salt. All of our softener systems have an integrated control bypass valve to take the water softener out of the main water line. You won't need this often, but it's a lifesaver during maintenance. 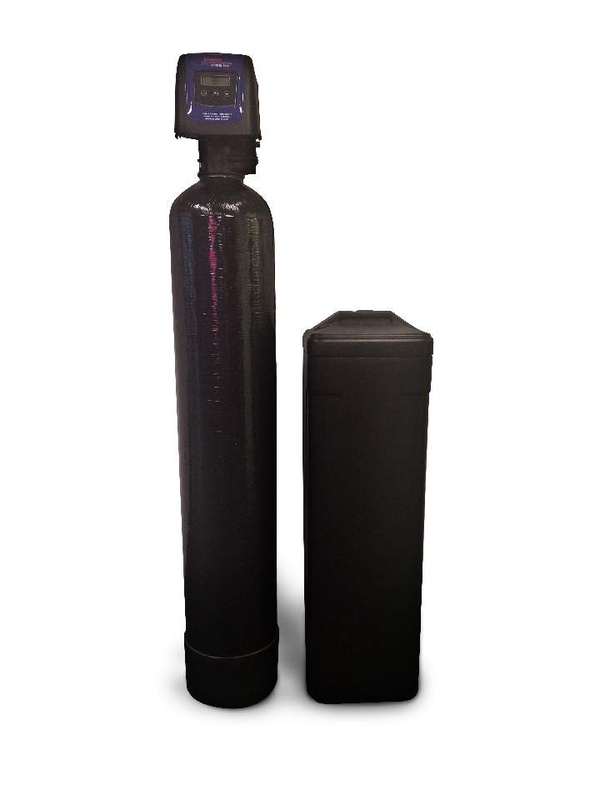 All water softener units include a separate salt brine tank in addition to the filtering tank. Using two tanks prevents corrosion and bridging (where the salt forms a layer above the water of the brine tank, preventing the salt from dissolving) - common conditions in single-tank units. All our installed water softeners come with 100 lbs of solar salt - salt which is free of impurities and ready to use. With regular usage, this salt will last for your first two months. For monthly salt delivery, check out our salt route service. There's no reason to worry about when to replace your water softener tank, nor any reason to dread an annoying 'low salt' sound. Our No-Hassle softener package includes a visual alarm when it's time to refill the brine tank. We will make repair calls without additional fees for any water softener system for five years from the purchase date. Bargain systems are covered for only one year of labor. This warranty covers all parts for the value and meter, plus in-tank parts like the media, brine safety value, and air check/pick-up tube. Both the resin and brine tank bodies have a 10-year warranty against any holes or leakage from corrosion or defect (except the Bargain systems, which have a 5-year warranty). Unlike many in the industry, our service techs do not receive a commission on how much they can sell you. Their goal is to ensure your satisfaction with your water. Happy customers are our business! For monthly plans, what is the term of the lease, and are there any upfront costs? The lease term is a minimum of 12 months. Rates for your leased equipment never increase. There is also a purchase option in the lease - you will receive up to 6 months of lease payments towards the original purchase price. If I buy my unit outright, can I get salt delivered? What is the cost for salt delivery? We offer salt delivery services in the Indianapolis metro area. The cost is $7.99 per 50 lb bag of solar salt. There is a $5.00 delivery charge. With the salt service, we will fill the salt tank for you and inspect it for any maintenance needs. It's cheaper than getting salt at the gas station, plus you get the peace of mind knowing your softener system is being checked by our expert techs! Is there an app for my water softener meter? Currently, the only water softener systems which have an app do not meet our standards for quality and reliability. We are actively working with our manufacturing partners to obtain the latest quality technology, which we expect will include an app upgrade in the future. 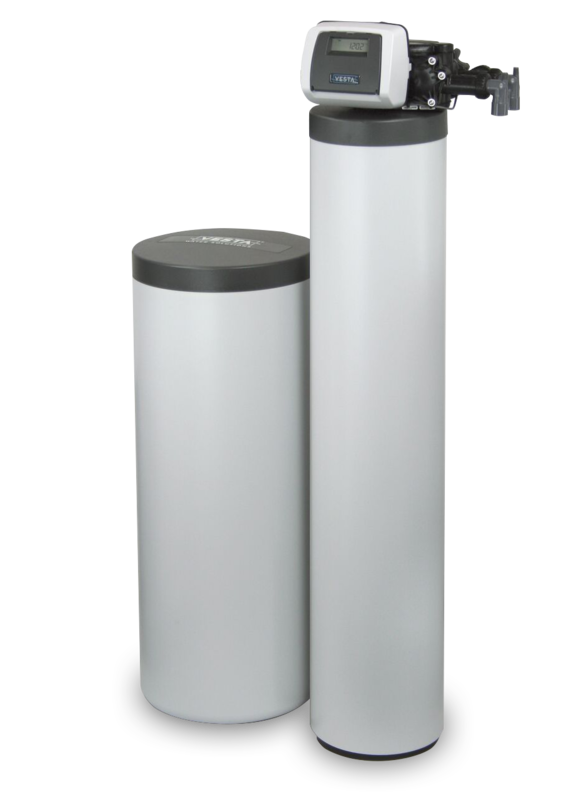 Can I purchase and self-install one of your water softeners? Do you offer self-install discounts? Yes, you can install the softener yourself. We do offer wholesale pricing for the softeners if they are picked up and self-installed. Contact us for more information regarding prices. However, there will be no labor or service warranty provided for self-installed systems. These systems do carry the manufacturer's warranty on parts. I have an existing well water system. What do I need? Since every well can differ, we recommend an on-site water analysis for hardness, iron, and sulfur. We provide this service at no charge. For more problematic water, a county board of health can do in-depth water analysis. Once the report is finalized, we have a variety of options to solve any problem. 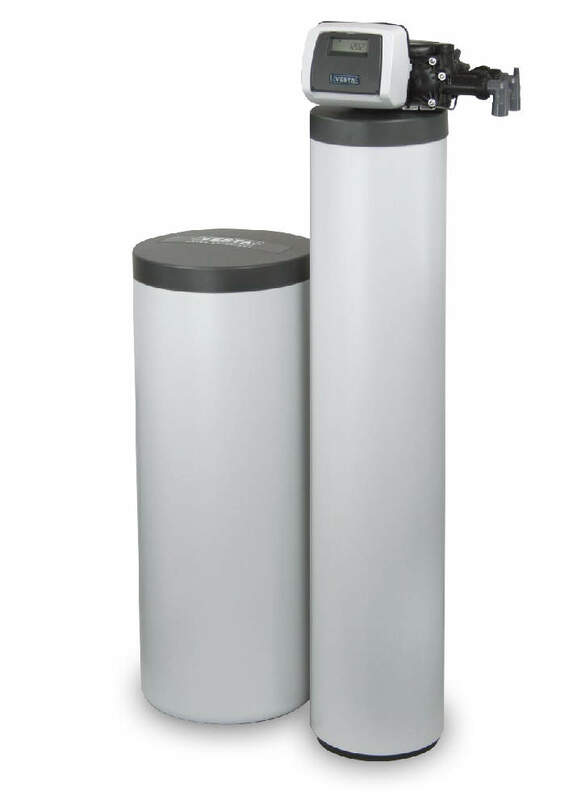 How are these systems different than reverse osmosis (RO) systems? 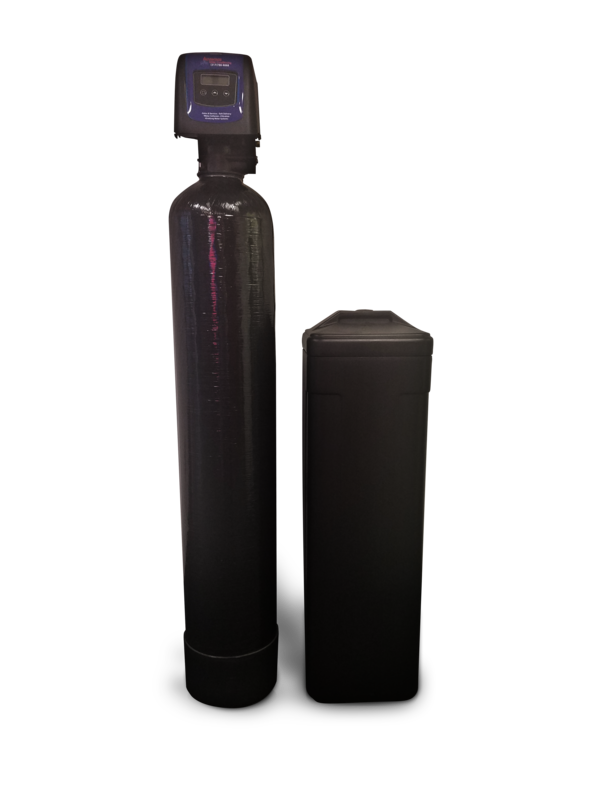 A household water softener treats your whole house's water, while reverse osmosis systems typically treat individual faucets for drinking water. A softener system prevents scale build-up in appliances, like your washing machine and dishwasher, as well as on your shower heads. Whole-house reverse osmosis systems are extremely costly, and they're not always ideal. For instance, running pure RO water through copper piping can cause leaks by corroding the pipes. Also, two gallons of raw water are required to produce one gallon of RO water, resulting in a doubled water bill. Finally, the RO process is not necessary to filter out chlorine, iron, or hardness - a softener system can accomplish these goals.